This dinner guest is always invited, but doesn’t eat or drink, and never joins the conversation. But long after the party’s over, it will still be at the table. Our favorite dining companion: the dining chair. Pull up a chair, make yourself comfortable, and discover which of our four-legged friends auctioneer Richard Wright picks to do your bidding. On the one hand, a dining chair should never come between you and your meal. It should serve you nobly whether you’re chewing or chatting idly. It should be a silent partner who assuredly sees you through the night, securely grounding you as drink takes to your head, gently coddling you as your weight gradually disperses, and propping you up gingerly when the time comes to retire. On the other hand, every chair, dining or otherwise, makes a bold statement. The chair is no mere machine for sitting. It tells people things that are historical, stylistic, and highly personal. The chair holds a unique place in our history: an ancient tool evolved and updated in tight symbiosis. Chairs evoke the limitless variation with which the brain can address a simple task. 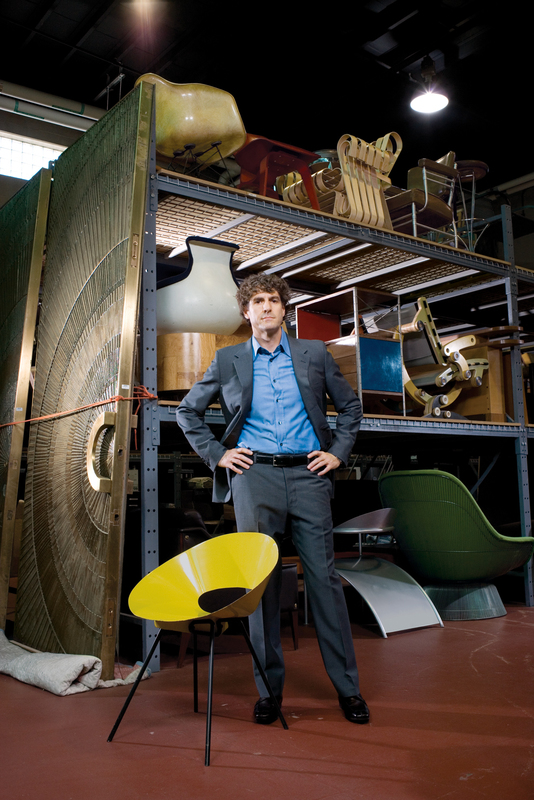 “I am pretty far on the spectrum of style over comfort,” Richard Wright tells us from his Chicago-based auction house. “It sort of goes hand-in-hand with what I do.” Imagine the final scene of Raiders of the Lost Ark, but with the endless stacks of wooden crates replaced by every imaginable 20th-century design collectible, and you get a sense for the world over which Wright presides. This is a man who knows his chairs, and knows they are a loaded subject. “When you deal with a design history, so much of it is about the chair, so you become very critical of chairs and chair forms. I have a harsher criteria for chairs—especially dining chairs.” This criterion, which deems that a dining chair should remain comfortable over the course of a dinner party while still living up to its stylistic responsibilities, has proved difficult to fulfill. Even with the pick of the litter, Wright is still searching for his ideal set. “Right now I have these Mies van der Rohe chairs which are incredibly heavy. My three-year-old can barely move them. I’ve been searching for a contemporary dining chair that fits what I want, and honestly, I haven’t found it yet.” Would any of our seven dining chair picks have the Wright stuff? Designed in 1960, the PK9 features a distinctive three-legged stainless steel base topped by a leather-covered seat of pressure-molded polyester. While the 1958 fiberglass originals fetch a steep prices on the collector’s market, today’s Swag Leg chair is easy to acquire and 100 percent recyclable.